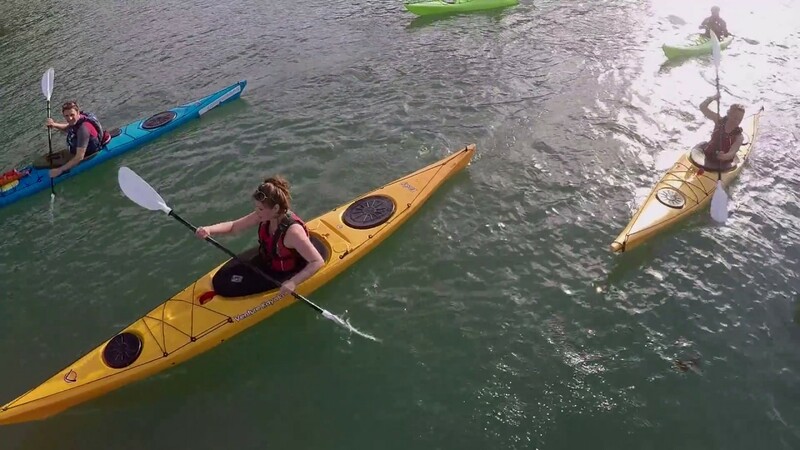 Sea Kayak Devon offers guided kayak trips on the stunning coastline around Dartmouth. Highly qualified guides will take you to secluded sandy beaches, help you get up close to amazing wildlife, discover spectacular rocky islands, explore hidden coves and paddle through secret caves that are only accessible by kayak. Individuals, groups and families are all welcome and no experience is required. They use the very latest equipment to ensure that you are comfortable and their kayaks are stable and glide easily through the water. You can even take a big stable double kayak so children as young as 5 can join in the fun! Try a taster session or join them for a full day adventure and picnic in a beautiful spot away from the crowds. They also offer overnight trips where you can relax by a campfire and learn bush craft skills from your guide. For those looking to take their kayaking to the next level Sea Kayak Devon offer a range of more advanced courses. This really is the ultimate way to explore the coast! Sea Kayak Devon is based in Dartmouth, in the corner if Coronation park, next to the Higher Ferry. We also have launch sites in Brixham, Torquay, Salcombe and Plymouth. Please call for more details.